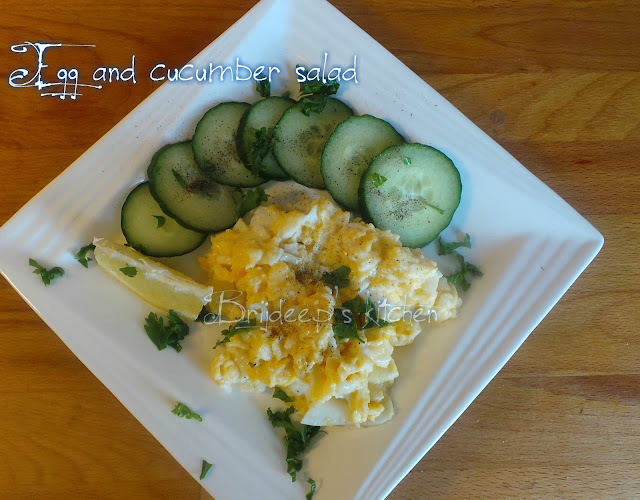 This scrambled egg and cucumber salad is absolutely cooling and refreshing idea on a hot summer day. This is my favorite salad and I try to eat this for breakfast on weekends. Prepared with minimal ingredients and no dressing, it flavorful and healthy at the same time. Heat oil in a pan and break eggs in the pan when the oil is hot. Stir quickly and as the eggs are cooking, just add the milk and stir well. Let it cook until it reaches the desired consistency. I don't like runny egg scramble so I let it cook until it's just past the runny stage, and it not dry. Clean and chop the cucumber in thin slices. Don't peel the skin. 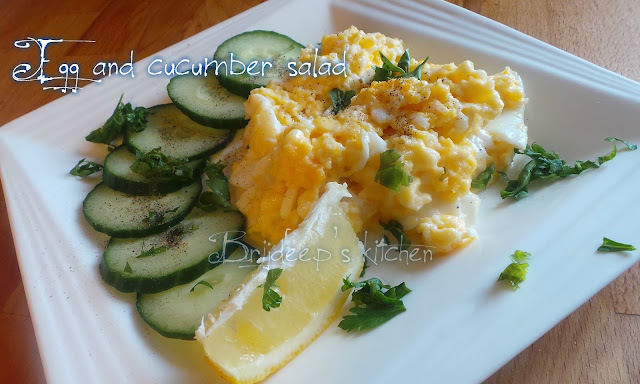 Plate the cucumber. Add the scrambled eggs on the side. Sprinkle salt and pepper and some lemon juice. 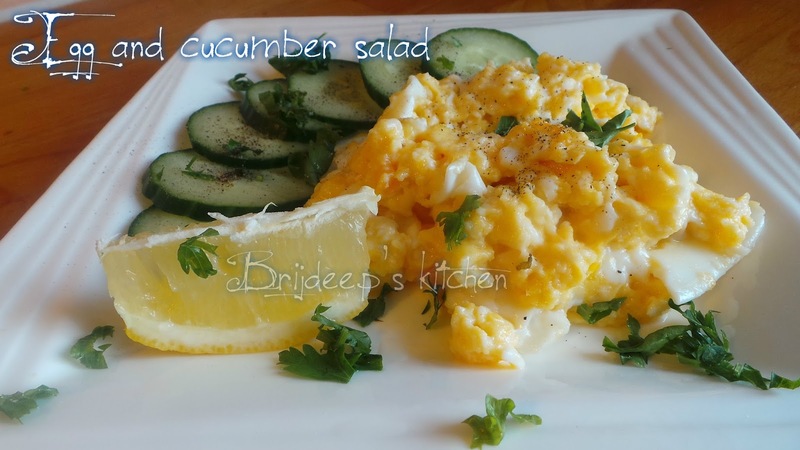 Garnish with finely chopped parsley leaves or coriander leaves.